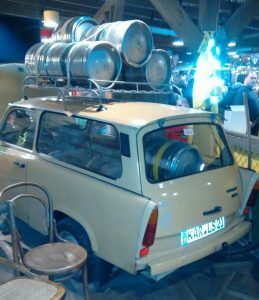 Bring Christmas Home – with a Trabant! Club members have been enjoying the advert breaks a bit more than usual this Christmas thanks to Asda’s ‘Bring Christmas Home’ campaign. Launched onto the small screen on 2 November, the 60-second ad starts with Santa sending a flaming Christmas pudding into the air to summon a Christmas convoy of skiers, Santas on motor bikes, cowboys riding Christmas trees and – most importantly! 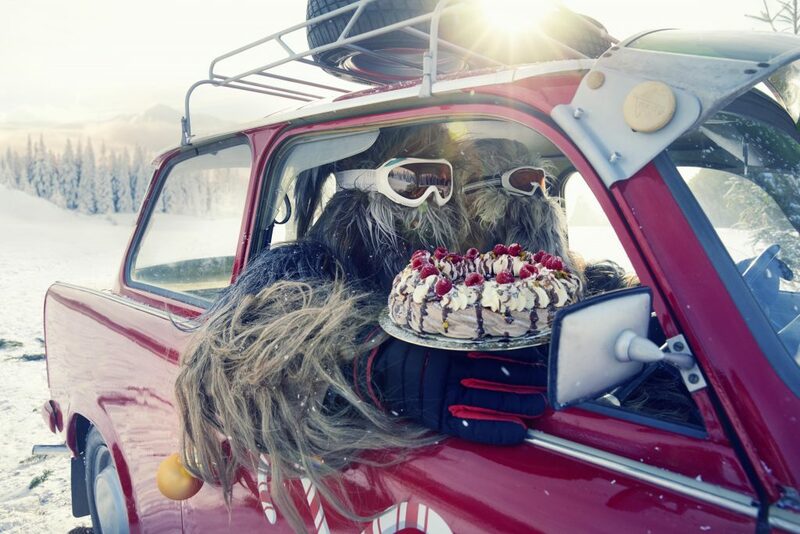 – Trabant-driving Yetis – to pour down a snowy mountain laden with Asda festive goodies. The ad was created by Caio Giannella and Diego de Oliveira of Abbott Mead Vickers BBDO, and directed by Agustín Alberdi from the Stink production company. We have reached out to Stink to ask where the inspiration for the Trabant came from but they are so far keeping their cards close to their chest. Maybe Agustín is a secret two-stroke fan! watch more behind-the-scenes footage here. The motoring press had a bit of a giggle this week with a stats-based press release from insurance comparison site Money Supermarket. The firm looked at more than six million car insurance quotes run on the MoneySuperMarket website over the last 12 months (1st November 2017 to 31st October 2018) and found that Hereford is the UK’s drink and drug-driving hotspot. Money Supermarket also revealed that the car most likely to be owned by a drink or drug-driver was a Morris Minor. Which seemed…surprising. There’s a serious message behind the release, of course, which is to remind us all that as Christmas parties and other social events start to pack the calendar, it’s really important to take steps to avoid driving while over the limit. 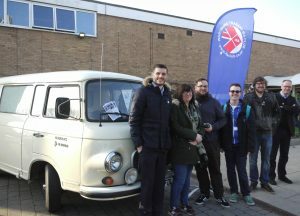 Gainsborough-based car enthusiast Kenton Rose enjoyed a day out at the UK’s premier classic car show as a VIP guest of the Wartburg Trabant IFA Club UK, the club for people who appreciate the eclectic cars of the former Eastern Bloc. 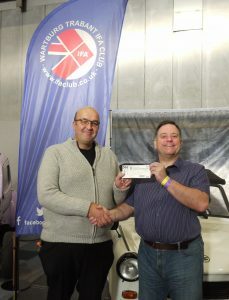 Kenton won the Club’s online competition for a pair of tickets to the Lancaster Insurance Classic Motor Show 2018 and started his day at the NEC with a visit to the Club’s Berlin Wall-themed stand. 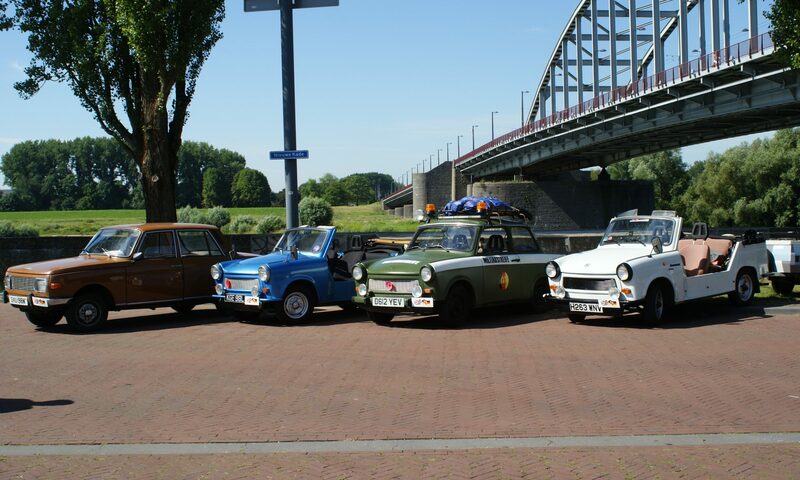 Kenton owned a Wartburg Knight years ago and says that he would love a Trabi but at more than 6 foot tall he doubts he would fit behind the wheel. His dream Eastern Bloc car would be a Tatra 603, the luxury car reserved for senior party officials and factory owners in communist Czechoslovakia. Kenton works as a coach driver but over the last decade has built up a thriving photography business, concentrating on cars and aviation. He also enjoys retro caravanning and owns a 1983 Kip Kompakt lightweight ‘van which he rescued from a hedge in Grimsby and is renovating over the winter. Competition time – Win tickets to the Lancaster Insurance Classic Motor Show 2018! 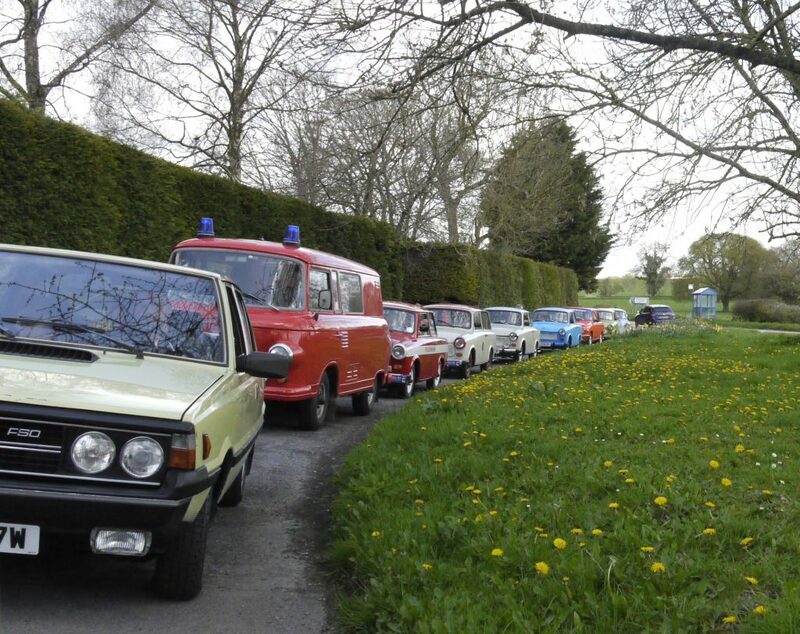 The UK’s largest classic car and motorcycle show returns to the NEC this year bigger and better than ever, taking over a whole extra hall to offer visitors the world’s biggest gathering of classic car clubs – including the Wartburg Trabant IFA Club UK. 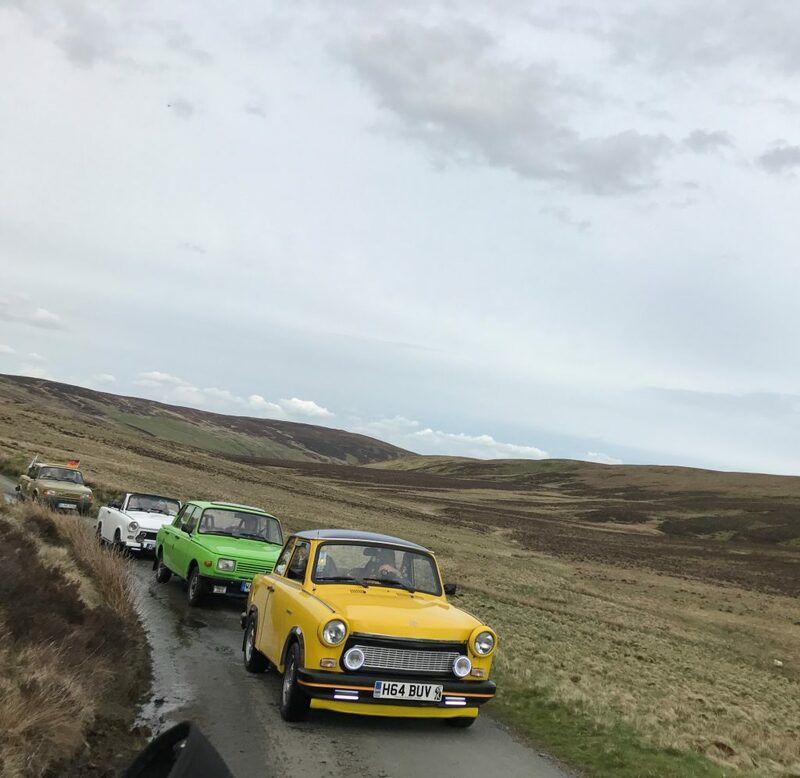 With more than 2,500 classic vehicles on show and 300 car clubs, it’s a fantastic day out – and the Club is giving away one pair of tickets for Saturday entry. To enter the draw for a pair of tickets to the Lancaster Insurance Classic Motor Show 2018, head on over to the Club’s Facebook or Twitter pages and follow the instructions! The competition closes on Wednesday 31 October. Good luck! 1. The prize draw is available to people 18 years of age and over. Proof of age may be required. 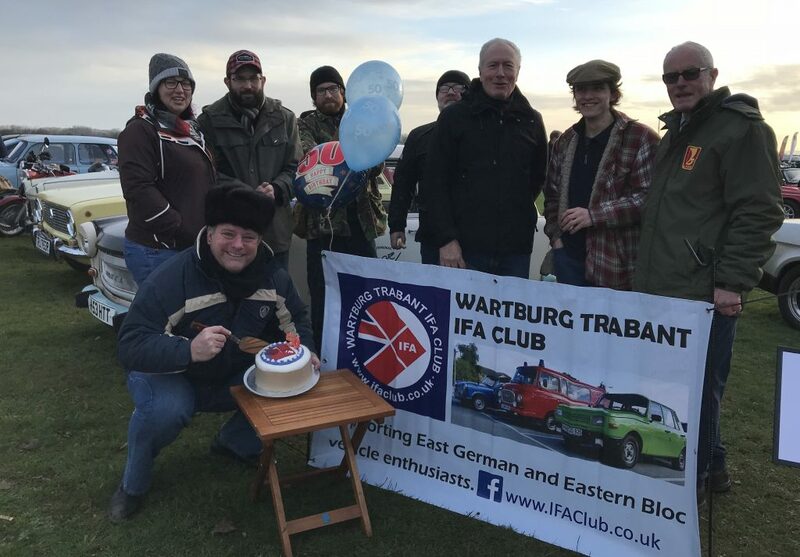 Committee members of the Wartburg Trabant IFA Club UK Club or immediate family of Committee members of the Wartburg Trabant IFA Club UK and parties professionally associated with the promotion may not enter this promotion. 4. Closing date: All entries must be received by 11.59pm 31 October 2018. 5. One winner will be selected at random, after this date from all complete entries received before the closing date. 6. The winner will be notified by Facebook Messanger or Twitter DM after the closing date. 7. The Prize is 2 adult tickets for Saturday entry to the Lancaster Insurance Classic Motor Show 2018. 8. The prize is non-transferable and there are no cash alternatives in place of the prize. 10. If the chosen winner is not able, for whatever reason, to accept a prize, or cannot be contacted within 7 days of the draw date, the Promoter reserves the right to award the prize to another entrant. 12. 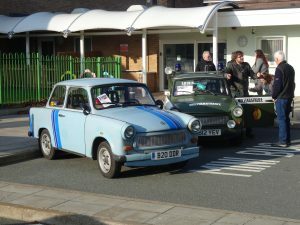 Entry to the draw is free and it is not necessary to be a member of the Wartburg Trabant IFA Club UK to win. It is a condition of entry that all rules are accepted as final and that the competitor agrees to abide by these rules. 13. The winner agrees to allow the Promoter to use their name and likeness for a news story publicising their success. An instagram post from Jonas Nay teasing that he was “Getting dressed at @ladage.oelke for the premiere of DEUTSCHLAND 86 in Berlin tomorrow” set more than a few Club members’ hearts racing. 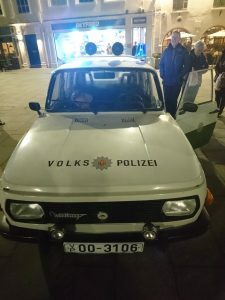 Cold War drama Deutschland 83 was hugely popular with Club members, not only for its gripping plot featuring Nay as ‘Hummingbird’, border guard turned undercover agent, but also for the many Eastern Bloc cars available to spot throughout the series. Deutschland 86 catches up with Martin Rauch, his aunt Lenora and their HVA comrades three years after the end of Deutschland 83. Martin is recalled from exile in Africa and sent back into the field, with missions taking him to South Africa, Angola, Libya, Paris, West Berlin and finally back to the GDR. The ten new episodes will be shown exclusively on Amazon Prime Video, beginning in Germany on October 19, 2018. The show will make its US debut on Sundance TV on 25th October, and is expected to air in the UK in the new year.